AI can be the differentiator that your company needs. How? It can be used to define and enhance your CX strategy, especially in your contact center. If used properly, AI can help reduce call volumes, and improve the customer experience. However, just like any other operational or technical implementation within your organization, it requires proper planning. Your contact center can use AI to optimize the contact center experience by collecting important customer information and providing context for interactions that will allow for an optimal customer experience. For example, AI can provide your agents with personalized information about the client to help provide an excellent experience – this can include order history, past experience with your brand, etc. This creates a personalized experience that elevates your brand and leaves your customers with a positive, lasting impression. It can also automate certain processes in the customer experience that can help to lessen the workload of your human agent workforce. As you can see, AI is an invaluable resource for contact centers, but I caution against the notion that they can replace the contact center entirely. Yes, AI is here to stay, but people will always be here so don’t forget the importance of the human touch. No matter how powerful AI can become, people will still want to talk to people. To enhance the customer experience, you should look to developing a synergistic relationship between AI and your human workforce. Allow both customer service approaches to work with each other, rather than against each other. 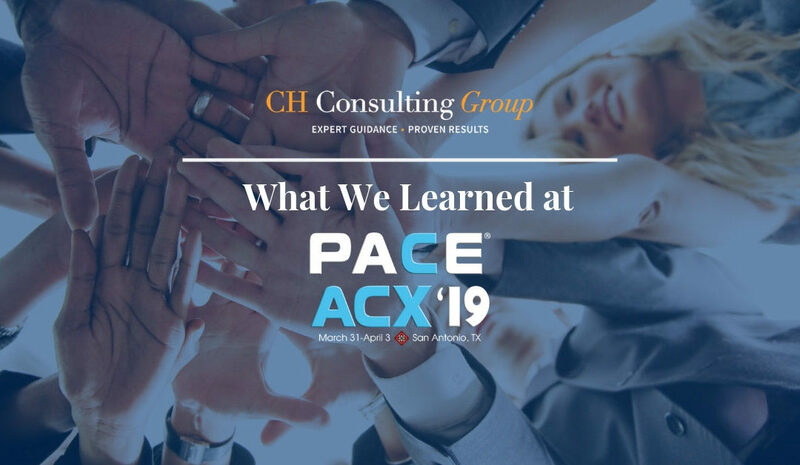 If you missed out on ACX19 this year, make sure you don’t miss out on next year’s event! It will be held April 5-8, 2020 at the Omni Amelia Island Plantation in Amelia Island, Florida. Stay tuned for more information on sponsorships, exhibitor and speaker opportunities! If you want more information on upcoming PACE events or would like to talk more about potential memberships, please do not hesitate to reach out to me here.